You'll probably earn enough money in the U.S. to do some fun activities! You will probably earn enough money to buy souvenirs, go out in your free time, travel after the program is over, and even save some money. At the very least, you should be able to save enough money to get back to New York (or your departure city) in order to fly home at the end of the program. You should prepare to have a few different ways to access money while in the United States, such as traveler's checks, an ATM card or a credit card. Handling your money in these ways is safer than carrying around large amounts of cash. American paper money comes in a standard size and all denominations are green in color. The difference in the bills is the famous face on the bill and the number in the corner. Bills are available in $1, $5, $10, $20, $50 and $100 denominations. 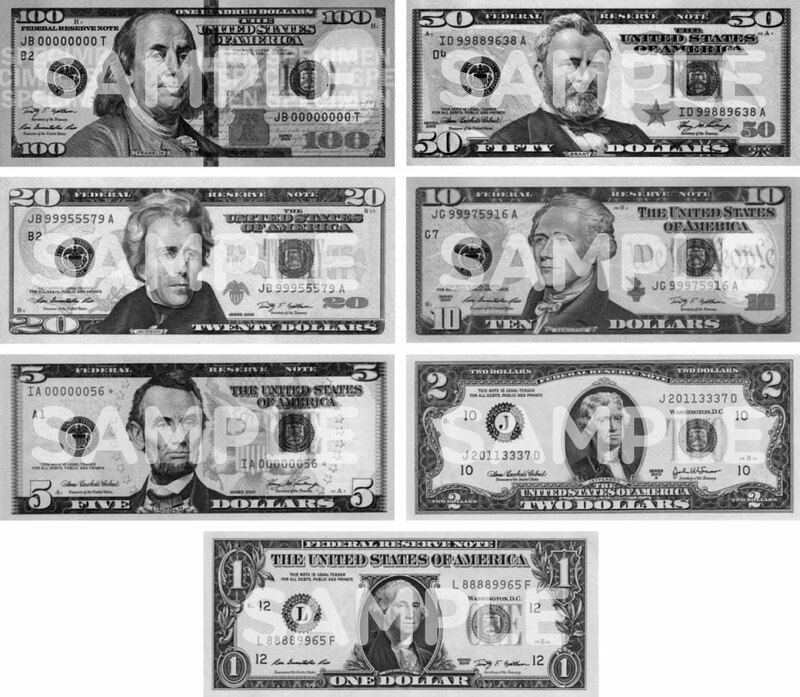 George Washington=$1.00, Thomas Jefferson=$2.00, Abraham Lincoln=$5.00, Alexander Hamilton=$10.00, Andrew Jackson=$20.00, Ulysses Grant=$50.00, and Benjamin Franklin=$100.00. Each of these bills is shown below; all are current designs. A note on large bills and slang: Be aware that many places will not accept hundred dollar bills and some will not accept fifty dollar bills, like a late night or all-night gas station or convenience store or coffee shop. Be sure to have some twenties or smaller denominations on hand and don't expect that a fifty or a hundred will be accepted everywhere. 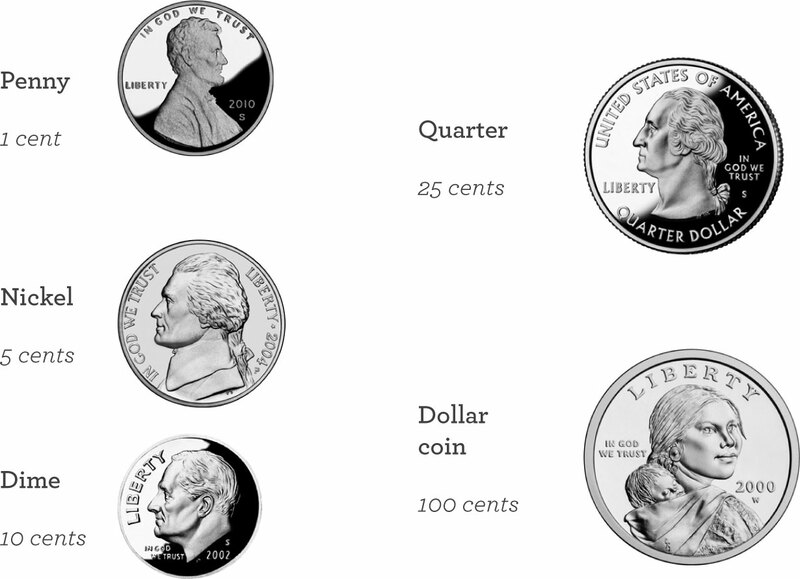 A dollar is often called a "buck", as in "that will cost 20 bucks". Carry a mix of cash and cards. We recommend that you bring traveler's checks or prepaid Visa or Mastercard with you in U.S. dollars. The prepaid cards give you easy access to funds that are safely stored on the card and are acceptable anywhere Visa and Mastercard debit cards are accepted. Beware of any fees associated with the prepaid card. Because of ATMs, traveler's checks are becoming obsolete except as a trustworthy backup. Whilst years ago cashing a traveller's check may have been no trouble at any location with proper photo identification, this is progressively changing. Some businesses may require a spend requirement for cashing the check . If they get stolen or lost, you can have them replaced, but only if you have the record of the numbers. Make sure you keep the receipts separate from the checks. Contact the company that issued the traveler's checks or cards immediately if they get lost or stolen! U.S. banks are mostly regional, so you won't find the same bank everywhere in the country. Banks are usually open from 9:00 a.m. - 5:00 p.m., Monday to Friday, but many are open on Saturdays. If you open an account in the U.S., try to find a bank with many locations, so you will be able to withdraw money and cash paychecks without incurring fees. 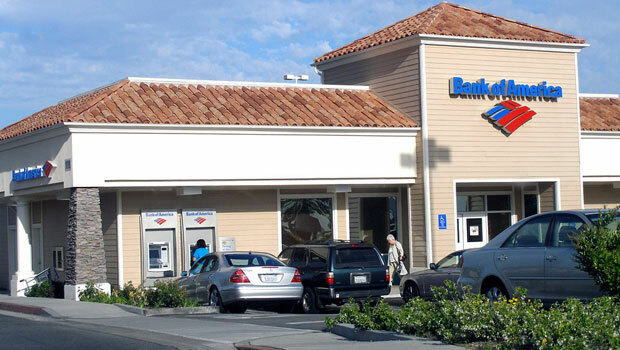 You can research branch locations and ATM locations by checking the bank's website. Your employer may also be able to suggest a convenient bank. ATMs are almost everywhere and they work the same way they do in your home country; they will allow you to get cash from your bank account as well as perform deposits and other transactions. Your bank card from home is likely to work in ATMs in the United States, but you should check with your home bank just to be certain. Remember, you will probably be charged a small fee to use an ATM outside of your home country. Many ATMs charge a fee to withdraw money; your bank at home may also charge an additional exchange fee. Always know how much money you have in your account to avoid overdraft fees. To learn about opening a bank account, check out our guide! Never share your ATM card or password, and be sure to check your account statements frequently for unauthorized charges. Cards in the U.S. must have magnetic strips on them. Never accept money or money transfers from strangers. Be aware of people and your surroundings when using an ATM. Every year participants on our programs work hard, save as much money as possible and then wonder how they can get it home safely. Over the years, InterExchange has heard many sad stories about participants who carried their earnings in cash and had it all stolen before they reached home. Never carry large amounts of cash. Do not carry your savings in cash! We want to make sure that you hold onto your hard-earned savings. If you have a bank account in your home country, you should be able to transfer money to it fairly easily, especially if it is a U.S. dollar account. The transfer usually costs you approximately $30 and may take 3-4 weeks to appear in your account at home. In most countries your bank will charge between 0.5-1.0% of the total sum to withdraw cash from the account. Please consult directly with the bank regarding international money transfers and associated fees. Alternatively, you may find it convenient to buy traveler's checks. It is a safe way to carry money. You can use what you need as you travel and changing them back into cash at home is relatively easy. There are some fees involved in converting traveler's checks to cash in your home country. In some places it is as low as 1%. International postal money orders may also be a good option for some participants. The fee varies depending on the destination country and is usually between $3 and $8.50 per money order. Each money order can be a maximum of $700 and there is no limit to how many can be sent in a given time period. International postal money orders are generally issued in U.S. dollars and then converted into local currency at the time they are cashed according to the current exchange rate. Most large post offices should be able to offer this service. If you open a U.S. bank account during your program, it is also possible to leave it open and use your ATM card to withdraw money as you travel as well as after you return home. Most ATM cards can now be used internationally. There may be ATM fees that vary from country to country but this still may be a good option for you. It is also easy for you to close your account by mail after returning home. It may not be possible to cash an out-of-state check in New York City or your home country, so please make arrangements with your employer to receive your last paycheck before you leave the state in which you worked. Checks have an expiration date, so be sure to cash or deposit your paychecks before they expire. If your employer pays you through direct deposit, make sure you leave your American bank account open until after you have received your last paycheck. The best-known companies for sending money are Western Union and MoneyGram. Both charge variable fees depending on how much money you're sending and where you're sending it.